Online doctor VideoDoc has announced a deal with McCabes Pharmacy which offers a free delivery service direct to patients. VideoDoc doctors are available for consultations online via the videodoc.ie website or through the videoDoc app. For patients who are unable or prefer not to travel to collect medication, VideoDoc can send the prescription to McCabes Pharmacy who in turn will deliver the medication to the consumer's home or location of choice. McCabes offer the same day delivery in Dublin and a next day delivery service anywhere in Ireland. All of the VideoDoc doctors are registered with the Irish Medical Council and have received remote services training. "Our delivery service ensures that patients never run out of much needed medication. 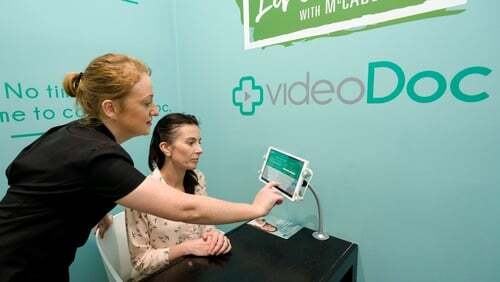 VideoDoc who provide online doctor consultations extend healthcare even further to those who might have mobility or scheduling issues and we’re delighted to assist these patients and provide ease of access to medicines," commented Cormac Loughnane, superintendent pharmacist of McCabes Pharmacy.